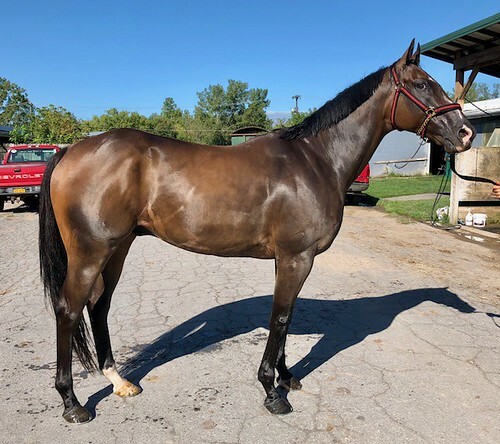 We love his name and we love Patrick Joseph, a gorgeous gelding with a winning “puppy dog” personality. 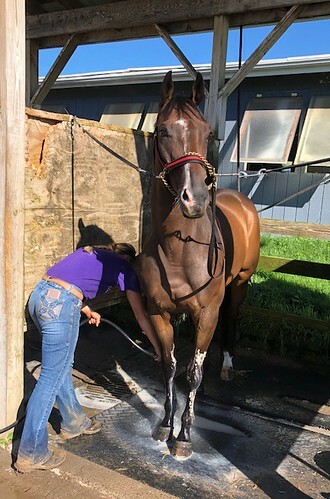 His trainer took him straight to the wash rack to wash the poultice off of his legs and he stood quietly while we got a bit of information from his owner/trainer. 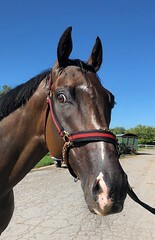 Patrick is a Kentucky bred fellow who started his career at Gulfstream Park, which is where he had his last win in June of last year. 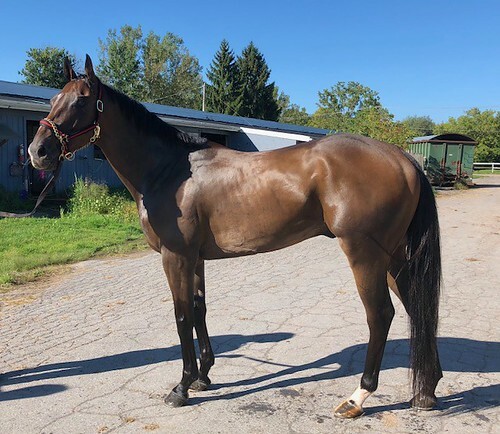 His owner/trainer brought him up from Florida early in the year and he has just not transitioned well to the dirt surface at Finger Lakes, having performed better on the turf. His owner/trainer is also his exercise rider and she stated that he collects himself beautifully while training, something hinted at for his jog video. Patrick also trains in the pool on the backside of the track. 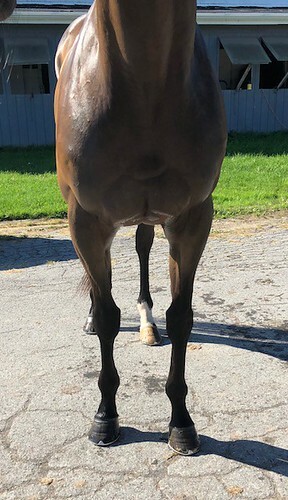 He has some arthritis in his ankles and his trainer states that the xrays done in January 2018 are available for review. 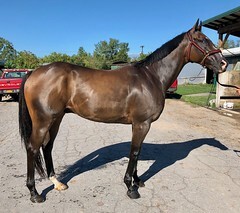 There was so much to like about Patrick that we think he could be the deal of the day. Patrick is by Stephen Got Even( which gives him A. P. Indy and Cox’s Ridge in the sire side) out of a Lord Avie mare.